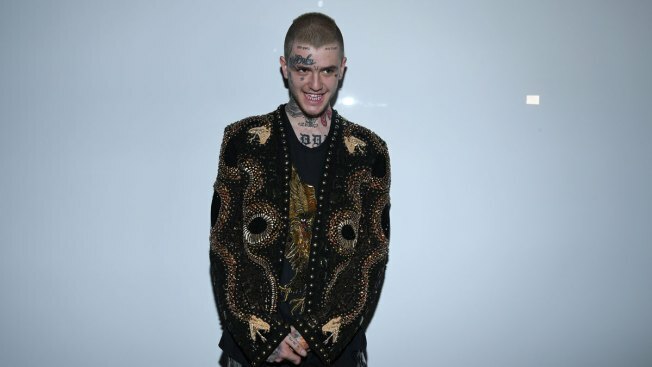 This June 24, 2017, file photo shows Lil Peep at the Balmain Menswear Spring/Summer 2018 show as part of Paris Fashion Week in Paris, France. The rapper was found dead on his tour bus ahead of a scheduled concert Wednesday night. Rapper Lil Peep, a budding star whose emotional, downtrodden lyrics gained a cult following online, died of a suspected drug overdose Wednesday night. He was 21. Police in Tucson, Arizona, say Lil Peep, whose real name was Gustav Ahr, was found dead on his tour bus ahead of a scheduled concert in the city Wednesday night. Sgt. Pete Dugan says evidence pointed to an overdose of the anti-anxiety medication Xanax. The Pima County medical examiner's office, which completed an autopsy Thursday, said a drug overdose was the likely cause but that toxicology test results would take six to eight weeks. Sarah Stennett, who runs First Access Entertainment, a company that previously worked with Ahr, said in a statement that she was "shocked and heartbroken." 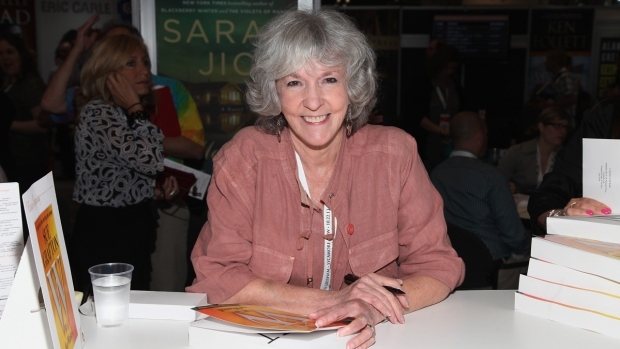 "He was highly intelligent, hugely creative, massively charismatic, gentle and charming," she said. "He had huge ambition and his career was flourishing." A Long Island native who later relocated to Los Angeles, Ahr built his career on homemade mixtapes released on the audio sharing platform SoundCloud. Millions of online listens led to the August release of his first full-length album, "Come Over When You're Sober, Part 1." In a 2016 interview with Pitchfork, he described his confessional music as a new version of "emo," the rock genre that was occupied by bands like Good Charlotte and My Chemical Romance in the 2000s. With tattoos covering his body and parts of his face and a shock of blond hair, Ahr's striking appearance caught the fashion world's attention. He made runway appearances for several labels in Europe and his ambitions in that realm rivaled his dreams for his rap career. "I think the fashion world really needs me right now," he told GQ in August. In her statement Thursday, Stennett passed along comments by Ahr's mother. "She asked me to convey that she is very, very proud of him and everything he was able to achieve in his short life," Stennett wrote. "She is truly grateful to the fans and the people who have supported and loved him." Actress Bella Thorne, who the rapper reportedly dated previoulsy, was among those mourning his passing on social media.